Six days after the Malaysian Boeing tragedy, US intelligence officials acknowledged that Washington had no information on Russia’s direct involvement in the July 17 plane crash. 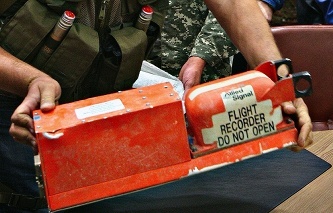 “Therefore, US security services have dismissed State Secretary John Kerry’s statement made on July 20 that an air defense missile system which shot down the Malaysian Boeing-777 airliner in eastern Ukraine had been delivered from Russia,” President of the Geopolitical Analysis International Centre Colonel General Leonid Ivashov told ITAR-TASS. “US security officials keep claiming that the Malaysian passenger airliner was shot down ‘by mistake’ as militia took it for a warplane but do not insist on Russia’s role in the supplies of air defense systems to Donetsk forces. They give no technical details. So, they do not seek evidence to investigate the Boeing crash but make groundless political accusations,” said Ivashov, a former chief of the international military co-operation department of Russian Defense Ministry. 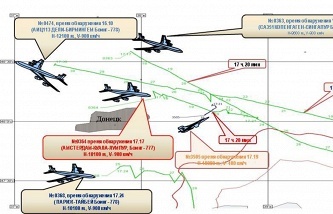 “After the Russian Defense Ministry has made public intelligence data collected by radio surveillance equipment, the international community realized that Moscow knows who is behind the Malaysian Boeing crash. The Russian military have detected the exact sites where Ukraine’s Buk air defense missile systems were deployed, spotted the take-off of a Ukrainian fighter, presumably Sukhoi Su-25, and forwarded this information to the European Union. The US claimed it has satellite images but nothing has been made public,” Ivashov said.“In these conditions US security services had to acknowledge that Russia was not directly involved in the passenger airliner’s tragedy. But Washington conceals the truth about Kiev’s role in the attack on the Boeing, although they definitely possess this information. Security services never say all the truth out of state interests,” he said. “According to one of the theories, the Boeing was downed by Ukrainian military units, which do not have a common command centre, and act by themselves, for example, (Dnepropetrovsk region) governor (Igor) Kolomoisky’s forces, the Right Sector (ultra-nationalist party) or Ukrainian troops. Americans are certainly analyzing this theory,” Ivashov added. “The reason why the US still tries to shift responsibility for the downed Boeing to Russia, accusing the country of ‘creating conditions’ for the tragedy, is that the plane crash had shocked the international community. Washington tries to restrain the public rage and direct it against Moscow and Putin personally,” he said. “The US is losing its geopolitical positions in many regions across the globe: in the Middle East, where an Islamic Halifat is being created despite Washington’s will, in the Old World, where the US still fails to prompt the EU to impose sectoral sanctions on Russia, in Ukraine and even in Latin America, where a successful BRICS summit was held and a joint new development bank was established as a a rival to the International Monetary Fund (IMF). America uses the Boeing tragedy to undermine Russia’s strengthening positions in the world. The 298 innocent passengers who died in the Boeing crash could be pawns in a major and dirty political game,” Ivashov said.“The US may continue attempts to destabilize the situation in Russia, relying on the ‘fifth column’ inside the country and instigating interethnic conflicts. This issue was discussed at a meeting of the Russian Security Council on Tuesday. The US may deliver weapons to Ukraine and then push the country to an invasion in Crimea (that became part of Russia in March),” the expert said. “The current US administration will not calm down before it reaches its goal to confront Russia and Ukraine directly and eventually break political and economic ties between Russia and Europe. Therefore, the Russian leadership and citizens should not relax,” Ivashov added.